Canberrans are being urged to find out which electorate they’re in before the Federal election on May 18. Photo by Jack Mohr. Around a third of Canberrans will be in a new electorate for the May 18 Federal election and the Australian Electoral Commission (AEC) is urging people to check which one they’re in so they can make an informed vote. The AEC is also urging anyone who has changed their address or has yet to enrol to do so by the deadline of 8 pm on April 18. 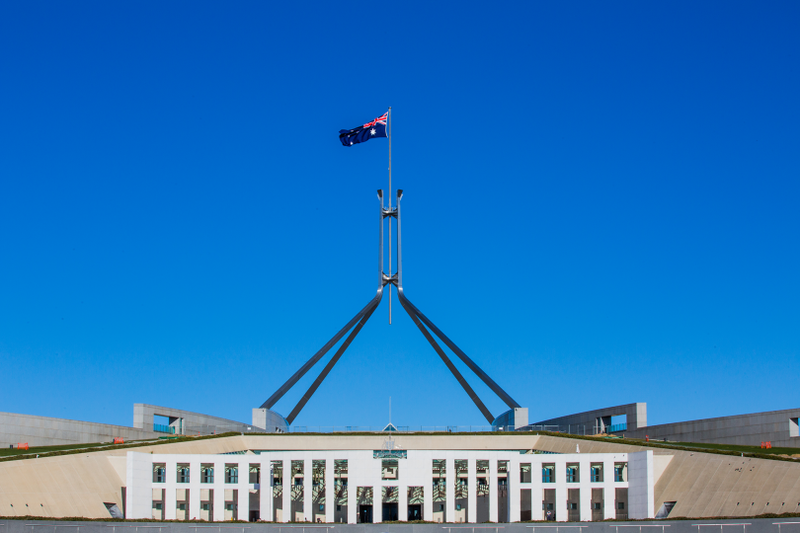 The ACT is one of only two jurisdictions in Australia to gain an extra federal seat due to increased population and AEC national spokesperson Evan Ekin-Smyth told Region Media that it is important for Canberrans to know what that means for them. 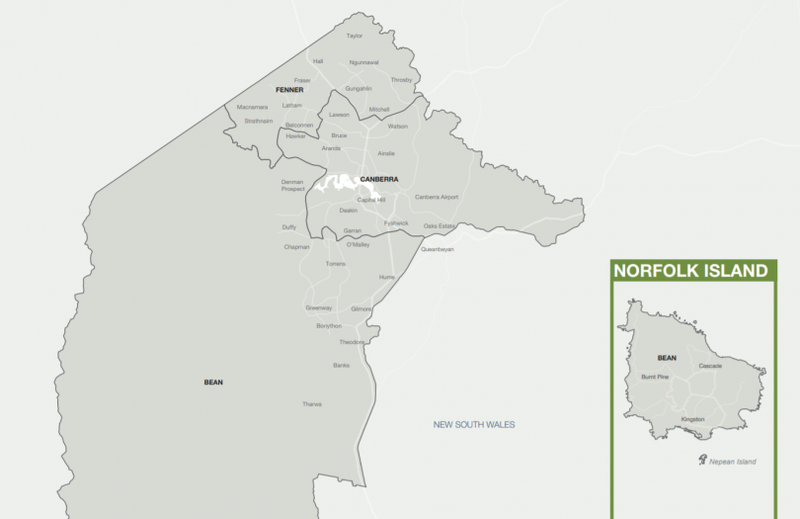 “Probably about a third of Canberrans might find they are in a new electoral division,” Mr Ekin-Smyth said. Mr Ekin-Smyth said people need to know which electorate they are in so they can look at who the candidates are ahead of time. Following a redistribution in 2017, the ACT now has three federal electorates, namely Fenner, Canberra and the new southern seat of Bean. Mr Ekin-Smyth said that essentially Bean covers all of Tuggeranong, parts of Woden and all of Denman Prospect. The electorate of Canberra centres around Lake Burley Griffin and takes in places like Deakin, Garran and Fyshwick on one side and on the other takes in Ainslie, Weston and parts of Belconnen such as Bruce, Hawker and Aranda. Fenner is the smallest electorate geographically but takes in the densely-populated areas of Gungahlin and the western parts of Belconnen. The key part of the AEC’s ACT boundary map. Anyone looking to find out which electorate they are in is encouraged to go to www.aec.gov.au where they can head to the ‘find my electorate’ page. The ACT has the highest rate of enrolment in Australia at 98.4 per cent, while nationwide a record 96.5 per cent of eligible Australians are currently enrolled. All Australian citizens aged 18 years and over are required by law to enrol and vote at the upcoming election. People also need to update their address details on the electoral roll if they have moved, or changed their name. Mr Ekin-Smyth said some Canberrans may still need to update their address details and he urged them to do this as soon as possible. The AEC recommends that the best and quickest way to enrol or update your address or name details is online. Anyone unable to go online can pick up a paper enrolment form at any AEC office or Australia Post but correctly completed applications must be returned to the AEC by the 8 pm April 18 close of rolls deadline. Seventeen-year-old Australians turning 18 on or before May 18 should also enrol and vote in the federal election.